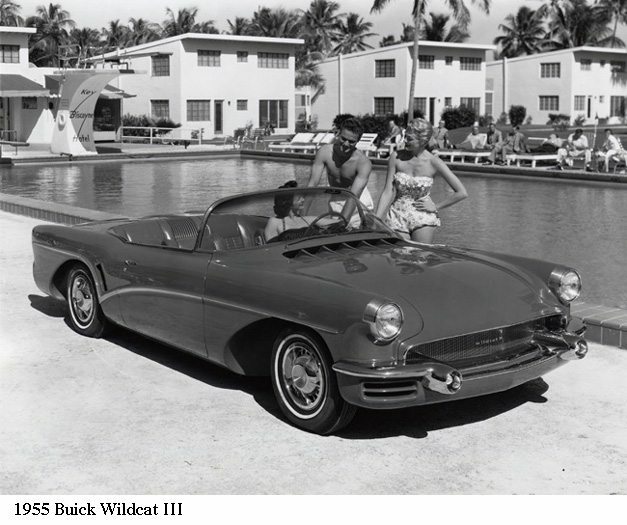 This was a red two-door four-passenger fiberglass convertible with red leather interior. It had a sloping beltline and the rear wheels were completely exposed. The hood sloped toward the front of the car, increasing immediate forward vision. The fine screen grille was wide and low and the parking and directional lights were housed in the bumper “bombs.” The engine was a 280-hp V-8. This car no longer exists.